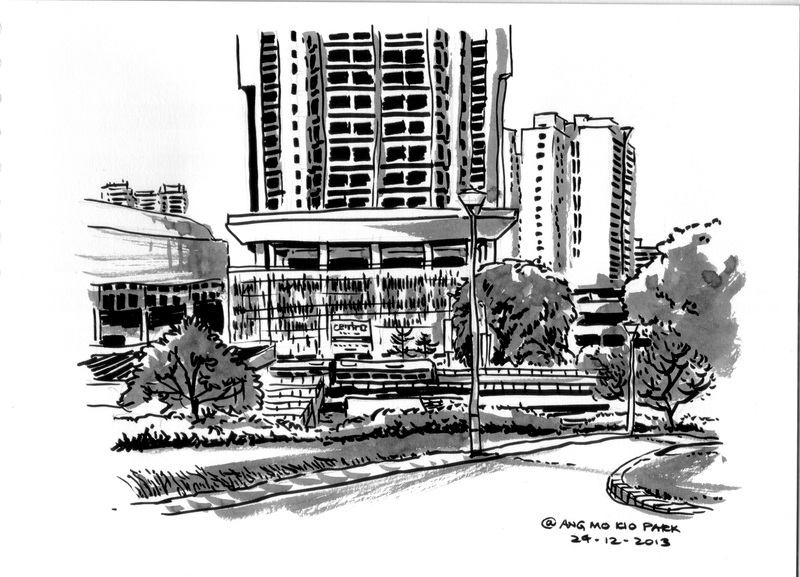 Here are some second stage pieces of my urban sketching discovery. 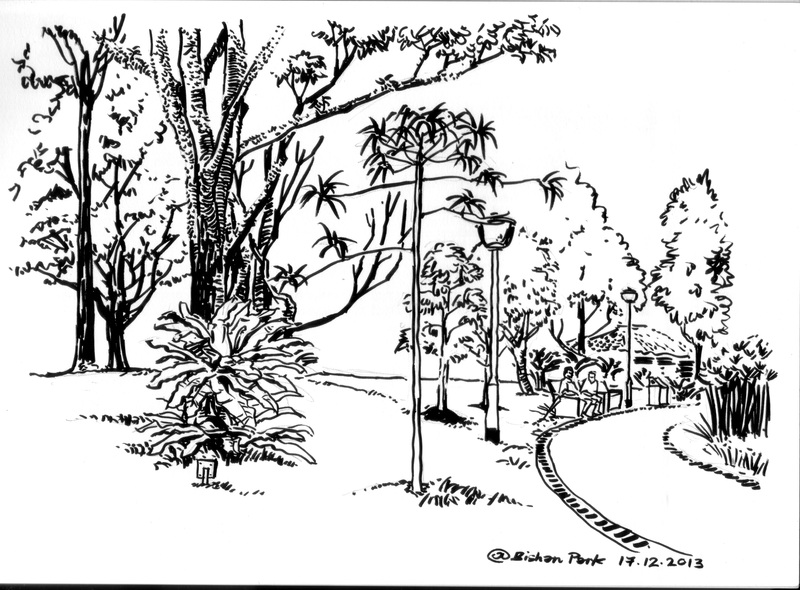 As I went around searching for buildings and architecture to sketch, I stumbled upon parks and gardens. The trees, shrubs and some horticultural landscapes have became my focus. The greenery which I passed by without having a second look caught my attention suddenly. Each and every plant or tree is different from one another. Each possesses its own characteristic, charm and beauty. 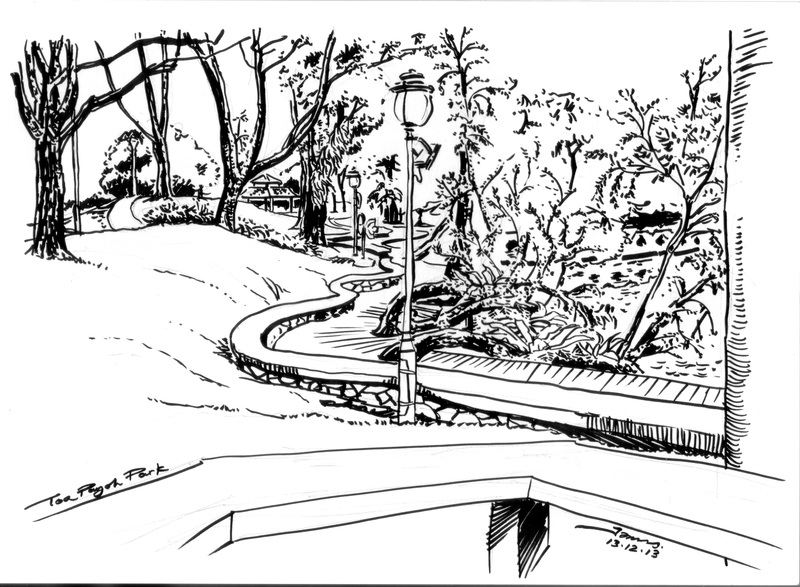 At this early stage, the brush pen was not easy to control. However, I tamed the troublesome tool with ease. I am a ‘line-art’ person. 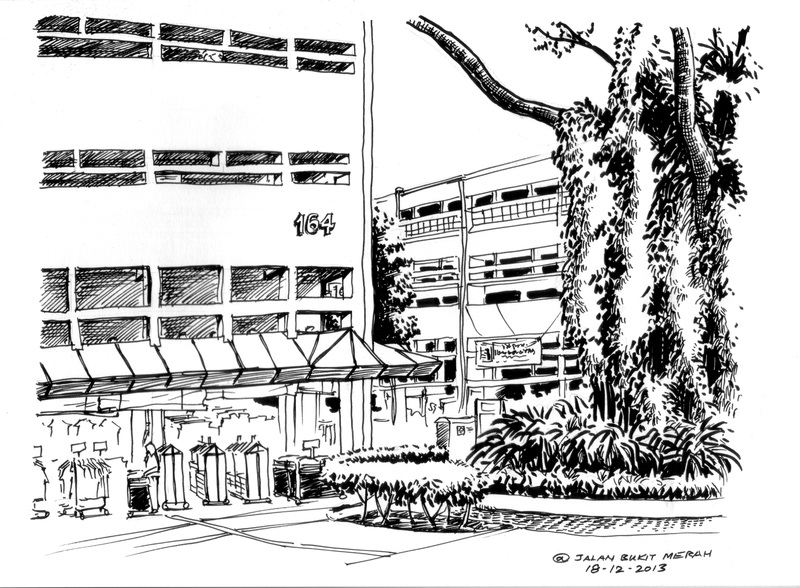 The fundamental element of sketching is lines. 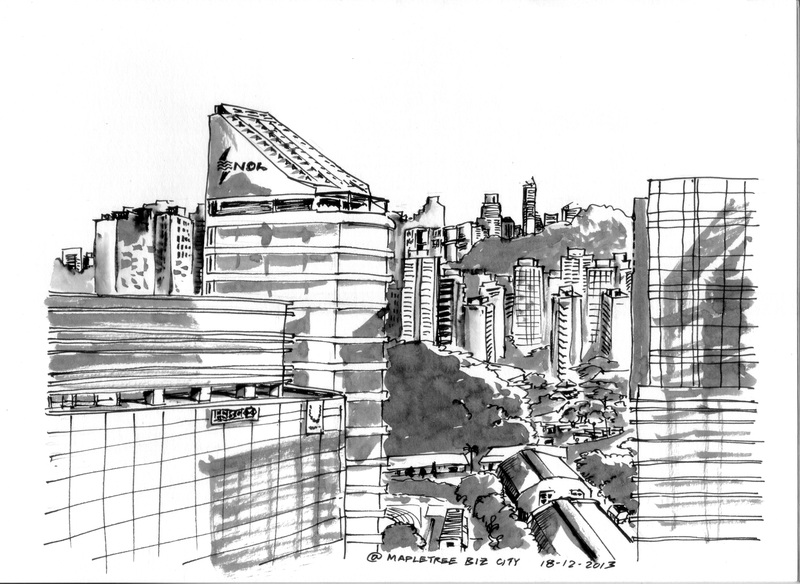 With the right perspective, it forms recognisable shapes, density and depth.